In the April 7th declaration ending the State’s three-year water emergency, Governor Brown stated, “the drought emergency is over, but the next drought could be around the corner.” The State is also keeping in place many prohibitions against wasteful practices including no watering hardscapes like sidewalks and driveways, no watering within 48 hours of measureable rainfall, and making sure Californians fix water leaks quickly. While WVWD has certified to the State that we have sufficient supplies to meet demand and planned growth for the next three to five years, WVWD is still in a Stage II - Water Alert to help our groundwater supplies recover and to help us continue to meet future water demands. If you haven’t already made changes, WVWD offers many resources that promote water-use efficiency. WVWD customers can receive rebates by replacing or purchasing qualified water-saving products such as weather-based irrigation controllers, high efficiency toilets, washing machines, and irrigation nozzles. Customers can also apply for turf replacement rebates. For more information about how you can make conservation a way of life and more details on all WVWD rebate programs, please visit us online at WVWD.org/conservation. 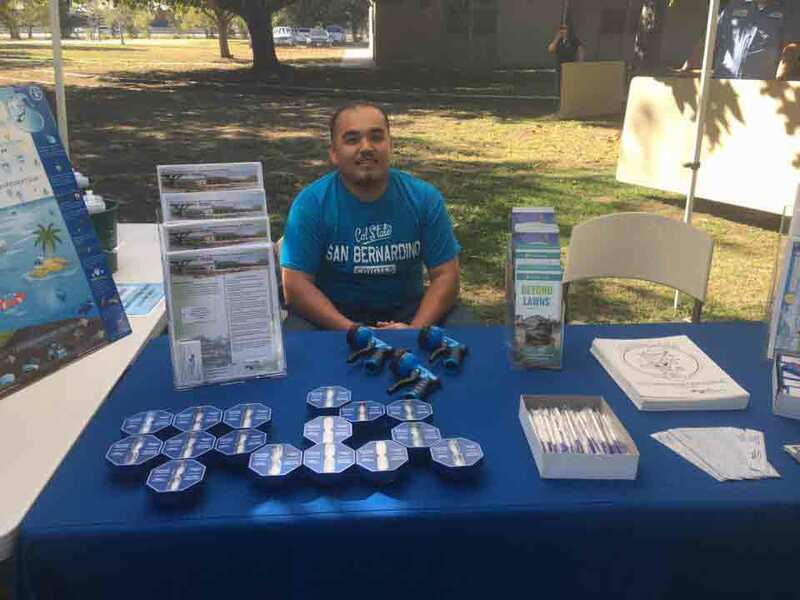 Our District staff regularly participates in community events to help promote conservation and educate customers about ways to save water. In addition, the District hosts free classes to help our customers learn more about water efficient landscaping. We also work with local elementary schools to create an annual calendar featuring student artwork with a water conservation theme. The West Valley Water District has a number of rebate programs to help customers save on their water bills. To find out more about ways to save water and access rebate programs please visit wvwd.org/conservation.